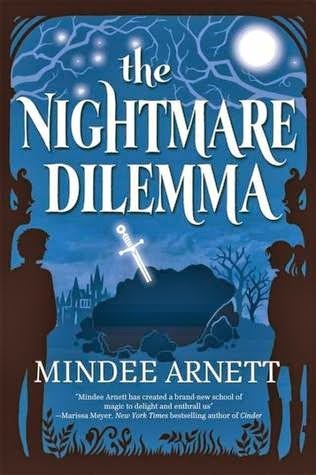 Even before I'd read the first book in The Arkwell Academy Series, I was so in love with the idea of a story centered around a human nightmare - especially one set in a Magical Boarding School for the gifted! So I guess it's no big surprise that my interest is holding and that I'm just as eager to return to Arkwell Academy to join Dusty in yet another adventure! I haven't read book one yet but I heard many good things about the series so I plan on getting on these eventually. I still have to read the first book and this one sounds so good too. Great pick! I liked the concept of this series, but unfortunately didn't enjoy the first book and won't be continuing the series. I hope you enjoy it though! 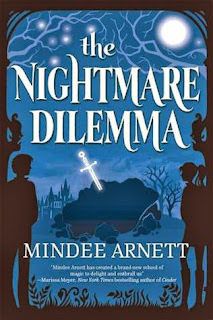 I LOVED the Nightmare Affair so I'm happy we finally have a description for book 2. Can't wait to read this one! Hurry up March! havnt read the first but this sounds good so i may have to! the cover is so nice as well. hope you enjoy. Your WOW seems very interesting, Micheline! I don't know this series, but I'll be sure to check it out.